Anyone who grew up in the 1980s, remembers A Nightmare on Elm Street horror films, and its star, Freddy Krueger. 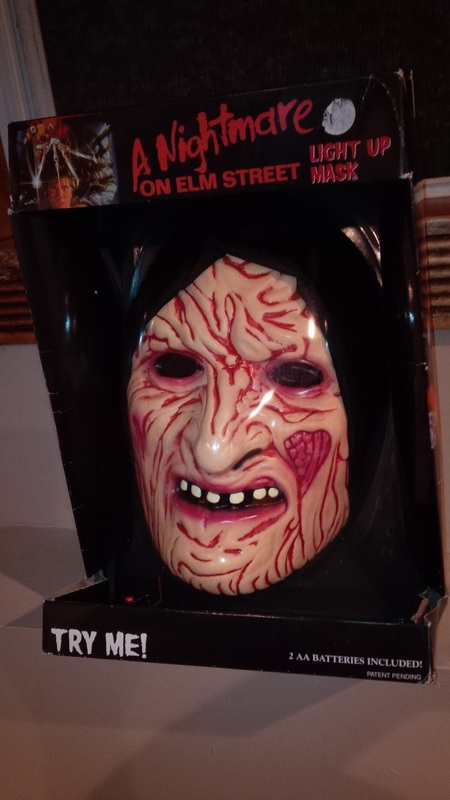 The films were a huge success, and spawned a lot of toys and merchandise. 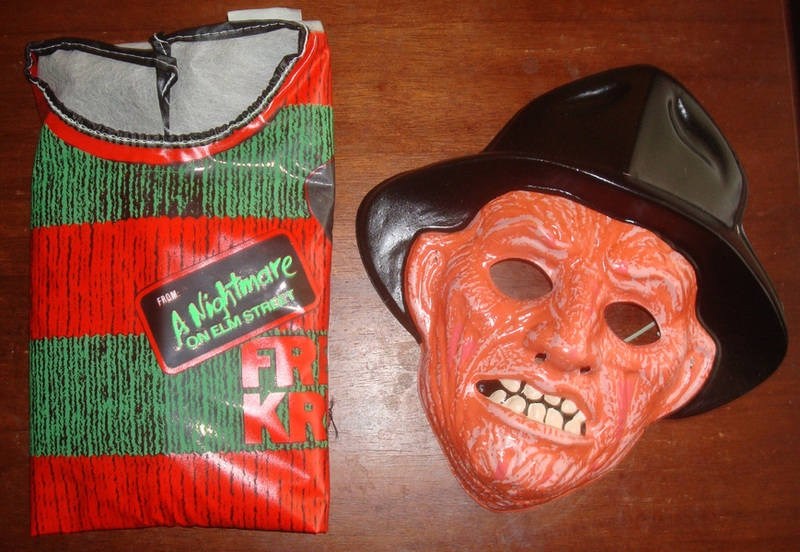 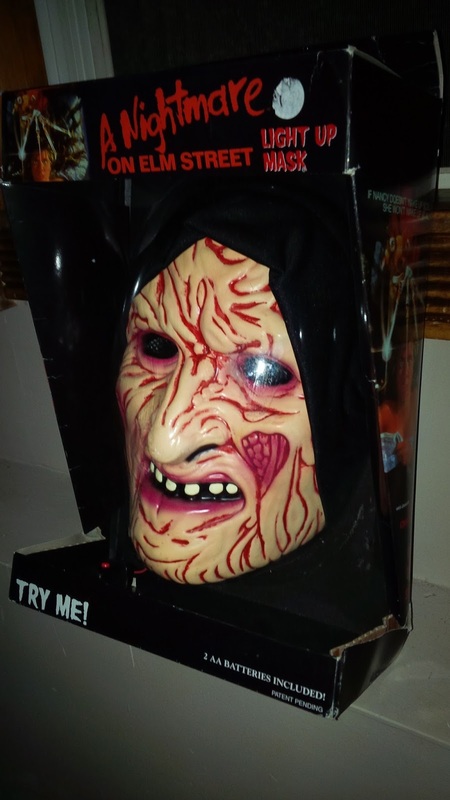 Such merchandise as the A Nightmare on Elm Street Freddy Light Up Mask. Released in 2003 by Paper Magic Group. Its Lights up in a circular fashion, and has a 80s retro Freddy look, much like the old Collegeville vinyl plastic kids costumes from the 1980s.